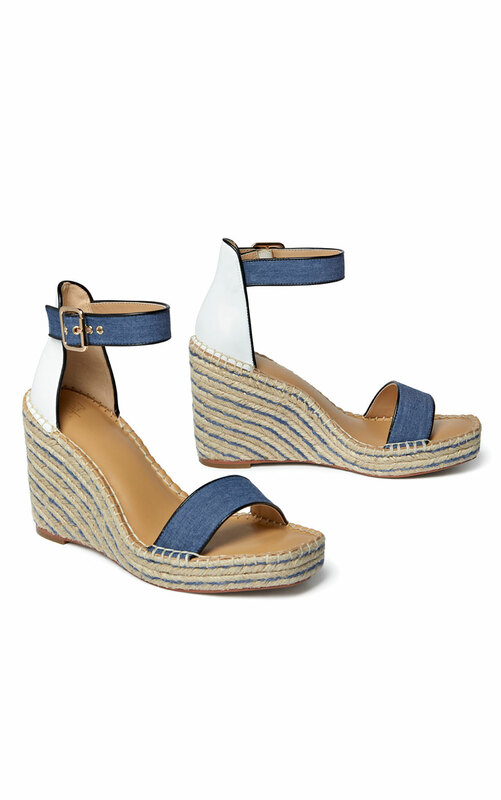 The Parker Wedge espadrille sandals have chambray denim details and white leather-backed heels for summery appeal - ideal for date nights or brunch with friends. Loving the Parker Wedge? Share how you’re wearing it on Instagram, and browse through all the inspired ensembles for fresh ideas.